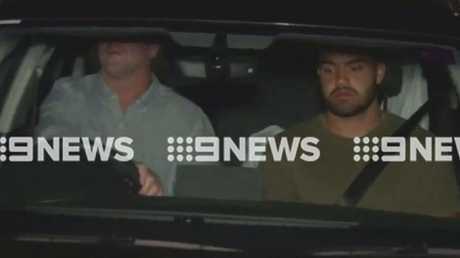 NRL hotshot Dylan Walker has been arrested and charged after allegedly assaulting his fiancee at home on Sydney's northern beaches overnight. Police confirmed that 24-year-old Walker, who plays for the Manly Warringah Sea Eagles, had been arrested and taken into custody after allegedly assaulting Alexandra Ivkovic at a home on Prescott Avenue, Dee Why about 5pm on Wednesday. Walker was held at Manly Police Station for around five hours while he was interviewed by police. He has since been charged with common assault and assault occasioning actual bodily harm. His 24-year-old fiancee suffered cuts to her shoulders, legs and feet, and was treated at the scene by paramedics. 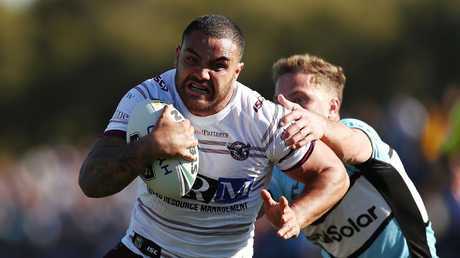 Walker was picked up from Manly Police Station late last night by Sea Eagles head coach Des Hasler. Hasler reportedly drove around the back of the police station in a black Audi before collecting Walker and driving off. On Tuesday, the same day that Walker is due to appear in Manly Local Court on these charges, police are due to take out an apprehended violence order out on behalf of his fiancee, Alexandra Ivkovic - a former Miss Universe Australia finalist who gave birth to the couple's son in July. The former Miss Universe Australia finalist who gave birth to the couple’s son in July. 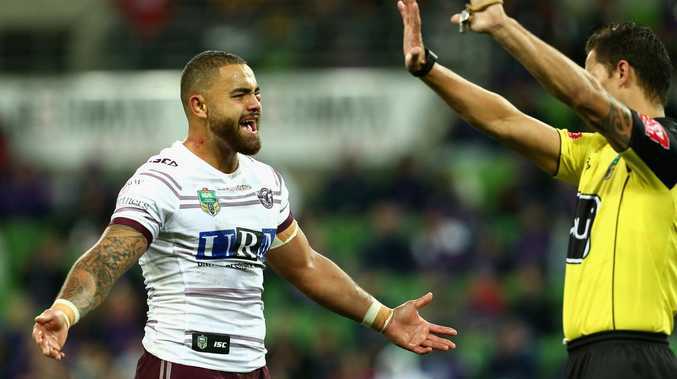 Manly chief executive Lyall Gorman said he has spoken with Walker's partner and had told the NRL star he would not require him to attend training as he "needs to clear his head". "I haven't been able to speak to Dylan personally, I have been able to speak to his partner on four occasions, twice last night and twice this morning. We've been trying to make sure we look after her welfare and the welfare of her family and the young baby. She's in good care with her mum and dad," he said. "Obviously we won't require him to attend training today. He needs to clear his head, he's only been released from Manly police station through the night. I'm not sure exactly what time but I understand it was through the night. "Our major focus has been on the welfare of the family which we've attended to. I know our coach (Des Hasler) was around there last night. "We won't require Dylan to attend training ahead of the court appearance on Tuesday. I spoke to the Integrity Unit two or three times last night and again twice this morning. They're very aware of where we're at the moment." Mr Gorman said the allegations were extraordinarily disappointing. "It gets highlighted more, as you know, in a game like ours where the profile is so high," he said. Mr Gorman said there may be some issues that Walker really needs to take the time to address, but added he did not believe alcohol and drugs were involved because the alleged incident occurred only a few hours after training. 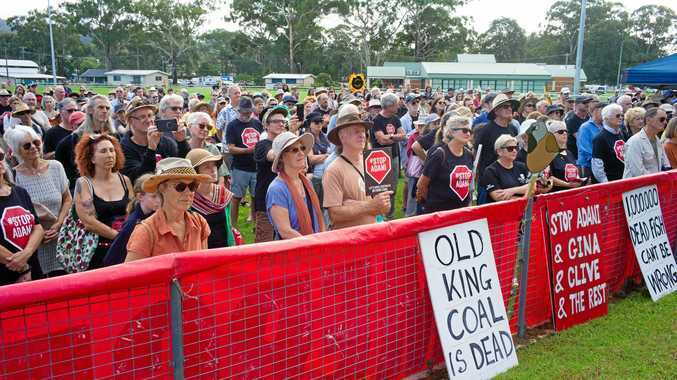 "It's extraordinarily disappointing for the game, the club, our members, our corporate partners," he said. "We've got to put this in context, this is a little bit different to four and five players breaking a curfew, this is an (alleged) individual act outside the club and outside the game, so you've got to try and put it in context. While the game has zero tolerance for this sort of allegation, as does our club, you've got to put it in context." Des Hasler was spotted overseeing the Sea Eagles train at the Sydney Academy of Sport and Recreation in Narrabeen this morning. Club officials kicked out media crews from the premises, with one man saying "the guy you're looking for isn't here".